Algebra: Algebra is one of the broad parts of mathematics, together with number theory, geometry and analysis. In its most general form, algebra is the study of mathematical symbols and the rules for manipulating these symbols; it is a unifying thread of almost all of mathematics. Algebraic geometry: Algebraic geometry is a branch of mathematics, classically studying zeros of multivariate polynomials. Modern algebraic geometry is based on the use of abstract algebraic techniques, mainly from commutative algebra, for solving geometrical problems about these sets of zeros. Algebra over a field: In mathematics, an algebra over a field is a vector space equipped with a bilinear product. Thus, an algebra is an algebraic structure, which consists of a set, together with operations of multiplication, addition, and scalar multiplication by elements of the underlying field, and satisfies the axioms implied by "vector space" and "bilinear".The multiplication operation in an algebra may or may not be associative, leading to the notions of associative algebras and nonassociative algebras. 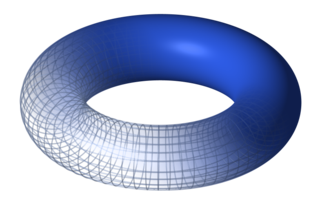 Algebraic topology: Algebraic topology is a branch of mathematics that uses tools from abstract algebra to study topological spaces. The basic goal is to find algebraic invariants that classify topological spaces up to homeomorphism, though usually most classify up to homotopy equivalence. Algebraic notation (chess): Algebraic notation is a method for recording and describing the moves in a game of chess. It is based on a system of coordinates to uniquely identify each square on the chessboard.